Jeromy Neal Burnitz (born April 15, 1969) is a former baseball player. Burnitz was a right fielder in Major League Baseball who played with the New York Mets (1993–94, 2002–03), Cleveland Indians (1995–96), Milwaukee Brewers (1996–2001), Los Angeles Dodgers (2003), Colorado Rockies (2004), Chicago Cubs (2005), and Pittsburgh Pirates (2006). A right fielder, abbreviated RF, is the outfielder in baseball or softball who plays defense in right field. Right field is the area of the outfield to the right of a person standing at home plate and facing towards the pitcher's mound. In the numbering system used to record defensive plays, the right fielder is assigned the number 9. Burnitz played his collegiate ball at Oklahoma State University and played minor league ball with the Welsh Waves, the Pittsfield Mets and the Buffalo Bisons. He batted left-handed and threw right-handed. He first came up with the New York Mets and exhibited both power and speed, but was traded by them to the Cleveland Indians, Burnitz never really cracked the Cleveland lineup and it was only after his trade to Milwaukee in 1996 that he emerged as an everyday player. The Buffalo Bisons are a professional Minor League Baseball team based in Buffalo, New York. They play in the International League (IL) and are the Triple-A affiliate of the Toronto Blue Jays. The Bisons play at Sahlen Field in downtown Buffalo. In his 14-year career, Burnitz was a .253 hitter with 315 home runs and 981 RBI in 1694 games. He hit at least 31 home runs from 1998 to 2004 with a career high 38 in 1998, a year in which he also had 125 RBI, another career mark. He played in the Major League Baseball All-Star Game in 1999. In 1999 he started the game, replacing the injured Tony Gwynn and became the first Brewer since Paul Molitor to start in the All Star Game. Burnitz was a constant crowd favorite in Milwaukee, providing many of the only thrills during an otherwise low point in Brewers' history in the first years of their National League history. After signing a contract extension with the Brewers in 2000, he was briefly the franchise's highest paid player of all time. In 2002, he returned to the Mets, but did not perform as well with his original team as both he and Mets fans hoped. He was traded to Los Angeles in the Mets' 2003 purge of high-salaried players, and signed the following year with the Colorado Rockies. In baseball, a home run is scored when the ball is hit in such a way that the batter is able to circle the bases and reach home safely in one play without any errors being committed by the defensive team in the process. In modern baseball, the feat is typically achieved by hitting the ball over the outfield fence between the foul poles without first touching the ground, resulting in an automatic home run. There is also the "inside-the-park" home run where the batter reaches home safely while the baseball is in play on the field. Games played is a statistic used in team sports to indicate the total number of games in which a player has participated ; the statistic is generally applied irrespective of whatever portion of the game is contested. In 2004, Burnitz signed with the Colorado Rockies, and became part of some rare home run displays. On April 27, he, rookie Matt Holliday, and Charles Johnson combined to slug back-to-back-to-back home runs against the Florida Marlins, the sixth such occasion in franchise history. 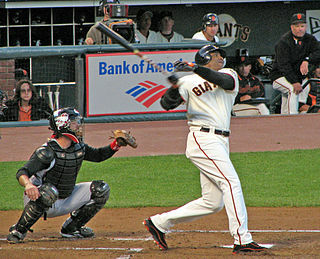 In a May 18 game against the Cincinnati in which he hit two home runs, both were part of back-to-back HR sets with Holliday, making them the first teammates in franchise history to hit back-to-back HR twice in the same game, and the first teammate duo to do so since Mike Cameron and Bret Boone of Seattle Mariners in 2002. In 150 games, he led the Rockies with 37 home runs, hit a career high .283, and was second on the team with 110 RBI. On February 2, 2005, the Cubs signed Burnitz to a one-year contract, the same day Sammy Sosa's trade to the Baltimore Orioles was finalized. He continued to hit well at Wrigley Field with a .258 average, 24 homers and 87 RBI in 160 games with the Cubs. The Colorado Rockies' 2004 season was the 12th for the Rockies. They tried to win the National League West. Clint Hurdle was the manager. They played home games at Coors Field. They finished with a record of 68-94, 4th in the NL West. Matthew Thomas Holliday is an American professional baseball left fielder and first baseman who is a free agent. He has played in Major League Baseball (MLB) for the Colorado Rockies, Oakland Athletics, St. Louis Cardinals and New York Yankees. A World Series champion in 2011 with the Cardinals, Holliday, through prodigious hitting contributions, has played a key role in seven postseasons, including the Rockies' first-ever World Series appearance in 2007 and Cardinals' playoff success of the 2010s. His distinctions include a National League (NL) batting championship, the 2007 NL Championship Series Most Valuable Player Award, seven All-Star selections, and four Silver Slugger Awards. Other career accomplishments include 300 home runs, more than 2,000 hits, 100 stolen bases, and batting over .300 eight times. Charles Edward Johnson, Jr. is an American former professional baseball player. He played as a catcher in Major League Baseball with the Florida Marlins, the Los Angeles Dodgers (1998), the Baltimore Orioles (1999–2000), the Chicago White Sox (2000), the Colorado Rockies (2003–2004), and the Tampa Bay Devil Rays (2005). Johnson was considered as one of the best defensive catchers of his era, winning four consecutive Gold Glove Awards between 1995 and 1998. He is one of only three catchers in Major League history to catch at least 100 games in a single season without committing an error. Henry Ramón Blanco is a Venezuelan professional baseball coach and former player. He is currently the bullpen coach for the Washington Nationals. He played as a catcher in Major League Baseball from 1997 to 2013, appearing for the Los Angeles Dodgers, Colorado Rockies, Milwaukee Brewers, Atlanta Braves, Minnesota Twins, Chicago Cubs, San Diego Padres, New York Mets, Arizona Diamondbacks, Toronto Blue Jays, and Seattle Mariners. He later served as quality assurance coach for the Cubs. Although a light-hitting player, he was regarded as one of the best defensive catchers in Major League Baseball. Aramis Nin Ramírez is a Dominican former professional baseball third baseman, who played 18 seasons in Major League Baseball (MLB) for the Pittsburgh Pirates, Chicago Cubs, and Milwaukee Brewers. He was named an All-Star three times during his career. Vinicio "Vinny" Castilla Soria is a Mexican-born former Major League Baseball third baseman who played his best years with the Colorado Rockies and Atlanta Braves. Previously, he played with the Atlanta Braves, Colorado Rockies, Tampa Bay Devil Rays (2000–2001), Houston Astros (2001), Washington Nationals (2005), and San Diego Padres (2006). He currently serves as a special assistant to the Rockies GM Jeff Bridich. Ronald Belliard is an American former professional baseball second baseman. He played 13 seasons in Major League Baseball from 1998 to 2010 for the Milwaukee Brewers, Colorado Rockies, Cleveland Indians, St. Louis Cardinals, Washington Nationals and the Los Angeles Dodgers. He batted and threw right-handed. Belliard was born in The Bronx, New York. Glenallen Hill is a former Major League Baseball outfielder. Hill played with the Toronto Blue Jays (1989–91), Cleveland Indians (1991–93), Chicago Cubs San Francisco Giants (1995–97), Seattle Mariners (1998), New York Yankees (2000), and Anaheim Angels (2001) during his thirteen-year career. With the Yankees, he won the 2000 World Series over the New York Mets. Hill batted and threw right-handed. Hill was also infamous for his defensive escapades, which were once described by then-Mariners pitching coach Bryan Price as "akin to watching a gaffed haddock surface for air." Eliézer Jesús Alfonzo is a Venezuelan professional baseball catcher. He has played all or part of six seasons in Major League Baseball, most recently in 2011 with the Colorado Rockies. He bats and throws right-handed. Eliézer is the second cousin of former MLB star Edgardo Alfonzo. James Ray Tatum is an American former professional baseball utility player. He played in Major League Baseball (MLB) for the Milwaukee Brewers, Colorado Rockies, Boston Red Sox, San Diego Padres, and New York Mets. Tatum also played in Nippon Professional Baseball (NPB) for the Yakult Swallows and in the KBO League for the LG Twins. Mark Andrew Reynolds is an American professional baseball infielder for the Colorado Rockies of Major League Baseball (MLB). He previously played for the Arizona Diamondbacks, Baltimore Orioles, Cleveland Indians, New York Yankees, Milwaukee Brewers, St. Louis Cardinals, Washington Nationals, and two stints with the Rockies. A right-hander both when batting and throwing, Reynolds has gained attention for his frequent and long home runs, high strikeout totals, and defensive versatility, having been primarily a third baseman before transitioning to first base while playing for the Orioles. 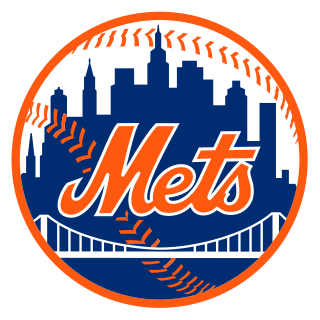 The New York Mets' 2002 season was the 41st regular season for the Mets. They went 75-86 and finished 5th in the NL East. They were managed by Bobby Valentine. They played home games at Shea Stadium. Carlos Eduardo González, nicknamed CarGo, is a Venezuelan professional baseball right fielder in the Cleveland Indians organization. He has played in Major League Baseball (MLB) for the Oakland Athletics and Colorado Rockies. A three-time All-Star, González was the National League batting champion in 2010. He has also won two Silver Slugger Awards and is a three-time Gold Glove Award winner. While mainly a left fielder throughout his career, Gonzalez became the Rockies starting right fielder in 2015. The 2002 Milwaukee Brewers season involved the Brewers' finishing 6th in the National League Central with a record of 56 wins and 106 losses, their only 100 loss season to date. The Colorado Rockies' 2009 season is a season in American baseball, in which the Rockies won their third Wild Card title, and second in three years. The Rockies drew 2,665,080 fans for the season, their highest total since 2002. The average home attendance was 32,902 fans. Their 92 regular season wins is currently the most in a single season in Rockies franchise history. Gerardo Enrique Parra is a Venezuelan professional baseball outfielder for the San Francisco Giants of Major League Baseball (MLB). He previously played for the Arizona Diamondbacks, Milwaukee Brewers, Baltimore Orioles and Colorado Rockies. The Milwaukee Brewers' 2010 season was the 41st season for the franchise in Milwaukee, the 13th in the National League, and 42nd overall. The History of the Colorado Rockies began in 1991 when a Major League Baseball (MLB) expansion franchise for Denver, Colorado was granted to an ownership group headed by John Antonucci. In 1993, the Colorado Rockies started play in the National League (NL) West division. Since that date, the Rockies have reached the MLB postseason four times, each time as the National League wild card team. Twice they were eliminated in the first round of the playoffs. In 2007, the Rockies advanced all the way to the World Series, only to be swept by the Boston Red Sox. The 2014 Colorado Rockies season was the franchise's 22nd in Major League Baseball. Beset by injuries to key players, they finished 66–96, in fourth place in the Western Division. Anthony John Wolters is an American professional baseball catcher for the Colorado Rockies of Major League Baseball (MLB). The 2017 Colorado Rockies season was the franchise's 25th in Major League Baseball. It was the 23rd season the Rockies played their home games at Coors Field. The Rockies finished the season 87–75 in third place in the National League West Division, 17 games behind the Los Angeles Dodgers. They did, however, receive the second wild card spot in the National League and advanced to the playoffs for the first time since 2009. In the Wild Card Game, they lost to the Arizona Diamondbacks. The 2018 Colorado Rockies season was the franchise's 26th in Major League Baseball and the 24th season the Rockies played their home games at Coors Field. They won 91 games during the regular season, which was the second-highest mark in franchise history and just one win behind the franchise record set in 2009. They finished the season with a record of 91-72 after losing to the Los Angeles Dodgers in the 2018 National League West tie-breaker game and subsequently opened the postseason by defeating the Chicago Cubs in the Wild Card Game. Their season ended when they were swept by the Milwaukee Brewers in the Division Series. ↑ "Matt Holliday stats, video highlights, photos, bio (2004 highlights)". MLB.com. Retrieved September 1, 2014. ↑ "Pirates Notebook: Burnitz apologizes for failing to run out grounder". www.post-gazette.com.